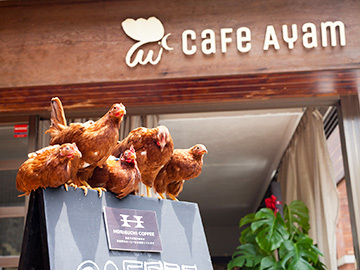 Our cafe opened as a "Chicken Cafe" in May 2016. 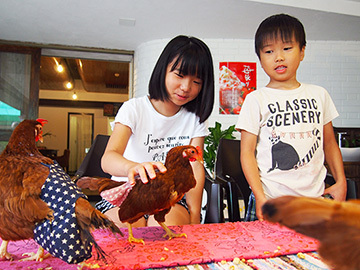 In the past we were able to see chickens in a garden at home, however, since the number of chicken-raisers has been decreasing, the opportunity to see them has also decreased. We have an impression for chicken as a livestock or a poultry product but chickens have been kept as a pet from ancient times. Also, a lot of beautiful and lovely "Ornamental birds" have been created in the countries all over the world not just in Japan. We have opened our cafe because we have this idea of telling you about the fascination of chicken to more people. It would be a pleasure for us if we could share this experience to other people. To children who haven't touched them before, those who love animals and want to feel how warm it is, those who could experience how cute these chickens are and by the nobility of life through touching them. 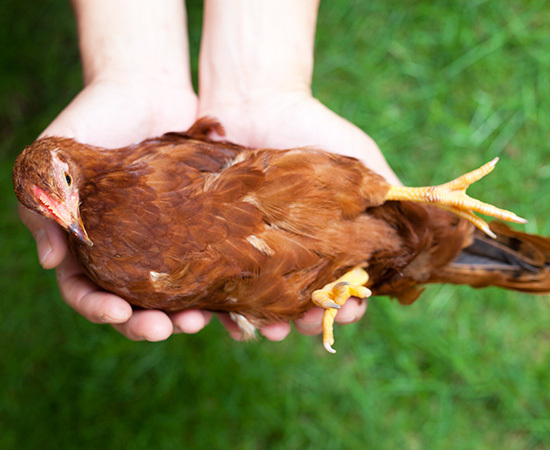 At our cafe, you can touch pet hen, "Petit-Cocco". It is the same hen around 2000 in which the Natl. Inst. of Animal Industry in Kochi prefecture has researched and developed for a pet. They have gentle and friendly characteristics, and are very rare at the present time. *Not being sold at our cafe. You can enjoy touching them at the opened space set up outside our cafe. Petit-Cocco wears a special diaper and takes a shower once a week so they are very clean. Disinfectant and Hand-washing equipment are prepared at our cafe so you don't need to worry about the sanitation. During spring and autumns seasons, when the weather is good, they can walk around our cafe, have a dust bathing and take a nap. They have been living peacefully on their own way. The most enjoyable thing for them is "eating". You can experience feeding at the provided open space area. Would you like to keep the chicken? 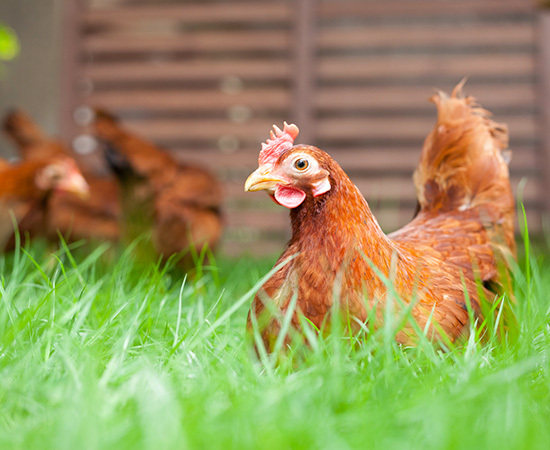 The most natural and ideal life-style for chicken are being under the sun, running around on the ground, eating plantings and insects, and laying eggs. However, it is difficult to prepare such ideal environment due to recent housing condition. The people who choose keeping them inside the home has been increasing like other animals. It is possible that you can normally keep them in cages, and then put a diaper on them when you play with them inside the house or bring them outside on your days off. Please feel free to ask us anytime when you are interested with the chicken. We would be glad to receive inquiries on how to acquire this chicken, raise and feed them. 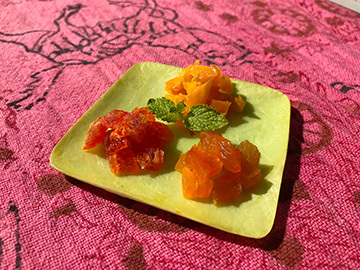 We are also a registered member of Kochi Prefecture Japan Chicken Preservation Association, so we can introduce other fascinating chicken aside from Petit-Cocco. ※It may be difficult to entertain your queries during our business hours but we will try our best to answer you. ※Please click here for your inquiry.